Data management platforms (DMPs) are great, right? Cloud-based applications are great too, right? So a cloud-hosted DMP, is perfect, right? The reasons that cloud computing or software-as-a-service (SaaS) – in its various and sundry forms – has become immensely popular are well documented. Rapid adoption, low maintenance costs, easy scalability – the list could go on and on. But when it comes to handling data – sensitive data CRM sources in particular – for the advertising and marketing industries, it turns out that public cloud-based solutions are not the great pie in the sky. In fact, there are several very important reasons that using an DMP hosted on personal infrastructure – whether on-premises or in private cloud – is a smart choice – a very smart choice, indeed. Nobody can deny how important data is to advertising and marketing today. Because “having data” isn’t just about collecting it. It isn’t even just about organizing it all in one place (one reason why you’re probably interested in a DMP in the first place). No, “having data” means having data and having it under control. And that means, not only organized in such a way that you can gain actionable insights from it, but also accessible 24/7 both in raw and segmented form, so that you can manipulate it any way you want. Of course, control also means security – making sure that data is where you want it, and not where you don’t want it. An self-hosted DMP just makes sense. Firstly, you can make sure that nothing sudden or unexpected happens to your data stored in a vendor’s cloud. And you have the freedom to take the raw or processed data and push it through other internal tools at your leisure. More importantly perhaps, it is possible to make sure that no one else has access to your data and it doesn’t have to be shared with any third-parties. For data-sensitive industries such as finance, telcoms, healthcare or even government institutions, the limited amount of trust when it comes to making their data accessible, for whatever purpose, to third-parties makes a public cloud-hosted DMP almost unthinkable. This is also why cloud applications for web analytics, for example, are facing more and more scrutiny and many governments, banks and other institutions are turning to solutions like Piwik PRO to handle their online data. Not all businesses are created equal. Neither is all data. So it stands to reason that not all DMPs should be created equal. 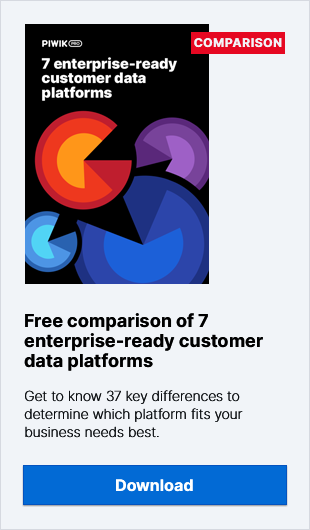 Sadly, the reality is that, like many other products, data management systems – especially those offered in “as-a-service” models – come in rather generic versions, meant to appeal to the widest range of customers possible. 1. Users end up frustrated because they have to pay (quite a bit) for features that they rarely use or don’t use at all. Wading through unused options makes for an unwieldy user experience and hinders efficiency. 2. Even more frustratingly, however, the features they do use may not provide the desired benefits because they are not tailored to users’ specific needs. This means users often end up not being able to do what they want to do and if the platform isn’t integrated with current tools, the result is even more frustration. Choosing a self-hosted or in-house alternative can go a long ways towards dealing with these issues. True enough, implementing an on-premises or private cloud-hosted DMP may take more effort initially, but, ultimately, the flexibility of a self-hosted solution and its ability to extend and modify the solution outweigh the benefits of cloud-based solutions. For one thing, implementing a self-hosted DMP automatically forces it to be integrated with existing tools since it is naturally in close proximity to other tools on internal infrastructure or in a private cloud environment. Secondly, for those businesses who require very specific integrations – whether it be with in-house, custom CRM programs or complex transactional systems designed for a specific industry. In companies or organizations with complicated permissions structures, there may be a need to implement a custom access system – both to make accessing the data easy and safe. Clearly, the ability to customize is a huge point in favor of a self-hosted data management solution. As advertisers and marketers come to rely more and more on their data management systems to power their campaigns, and as those campaigns become more and more personalized and focused, speed becomes more and more of the essence. With campaigns aimed at taking advantage of current trends and designed to find “exactly the right moment” to convert customers, it becomes crucial that no time is wasted. In other words, latency can make you a loser – literally. So when putting together your custom programmatic bidder or setting up your content personalization engine, it not only makes sense to locate it in the same data center as your other tools – it is vital. Seconds or even milliseconds wasted on data transfer can make a huge difference and end up affecting revenue. For those who are dealing huge audience segments and need to push campaigns across a wide range of publisher sites, processing speed becomes a crucial issue. While public cloud solutions theoretically allow users to scale according to their needs, reality often falls short. With more control over the DMP hosted in a private cloud or even on a dedicated service such as Amazon Web Services, it is possible to personally determine how resources are allotted and make sure that latency doesn’t lock things up. The fourth and final reason is perhaps the most important. Anyone handling personal data – on whatever level and of whatever kind – is subject to ever-more stringent data protection laws. When it comes to advertising and marketing, that data very often isn’t confined to one country or even to one continent – after all online customers can theoretically come from anywhere! When data is passed from one country to another – as may be the case when it is passing through a data management platform hosted on a vendor’s cloud server in another country – it falls under even more rigorous legislation. Rules also stipulate that business and organizations can use Personally Identifiable Information (PII) to create a Single Customer View (SCV) – provided that information stays in-house and isn’t shared with 3rd-party vendors. Additionally, there is a move by some, including the American Federal Trade Commission, to apply PII data protection legislation to persistent identifiers which may include static IP addresses, unique device identifiers among others. The sum and substance of all this being that storing all your data internally – whether on physical infrastructure or in a private cloud – can make life a whole lot easier. No questions about where the data is, what rules need to be followed…and so on…and so on. These are heady times for the ever-expanding AdTech and MarTech scene. New technology, new possibilities, unlimited innovation. But data management is one area where it’s best to keep both feet on the ground – and your applications in-house and under control. Focused on developing strategies to build brand trust and drive lead generation through customer-centered content.